Toulouse could be without Samoan lock Joe Tekori gets cited for a horror tackle during their win over Clermont over the weekend. 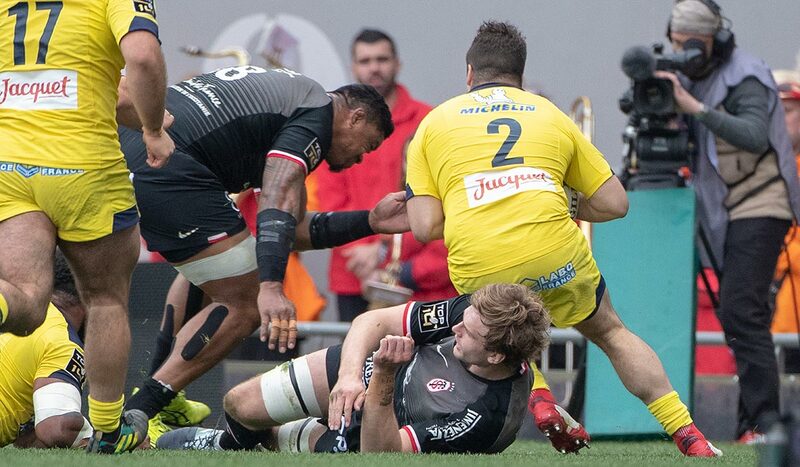 The monster lock was sin-binned by referee Roman Poite for a very high hit on Clermont’s Yohan Beheregaray, with pretty much everyone in agreement it should have been a red. He now faces a nervous wait, with Top 14 officials highly likely to cite him. Toulouse take on Leinster this weekend so any ban would rule him out of their Champions Cup semi-final affair. Beheregaray meanwhile was stretchered off following the hit.